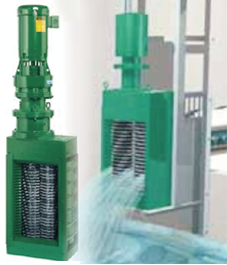 The proven Muffin Monster grinding technology shreds and chops efficiently particulate contaminants in waste water streams into small particles to flow harmlessly through pumps, pipes and processes. Continuous grinding for channel as well as in pipe installations. Low speed, high torque grinders handle rags, rocks, wood, clothing, plastics and other debris. Capable of handling wider variety of solids. Shreds solids more effectively than single shafted machines and macerators. 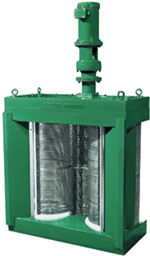 Protect pumps and eliminate screens in pumping stations. Typical installation : Channel – Wall and Pipe Mounting adapts to most existing channel applications with little or no civil work required. Runs submerged or dry with no seal flush required. 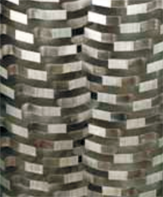 Auto Load sensing and reversals reduce interrupts and optimize the grinder’s performance.